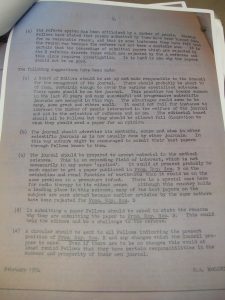 The Second World War brought paper and labour shortages to the Royal Society’s publishing efforts. Despite the problems, a handful of dedicated publishing staff managed to keep both the Transactions and the Proceedings going, albeit on a reduced run, throughout the international conflict. 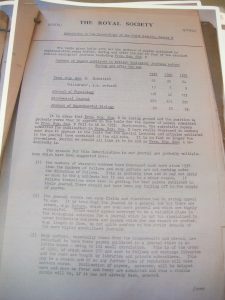 Submissions deemed ‘helpful to the enemy’ were stored in the Society’s archives and all referees were asked (via a red-typed note stapled to each Referee Report Form) if the information should be quarantined. 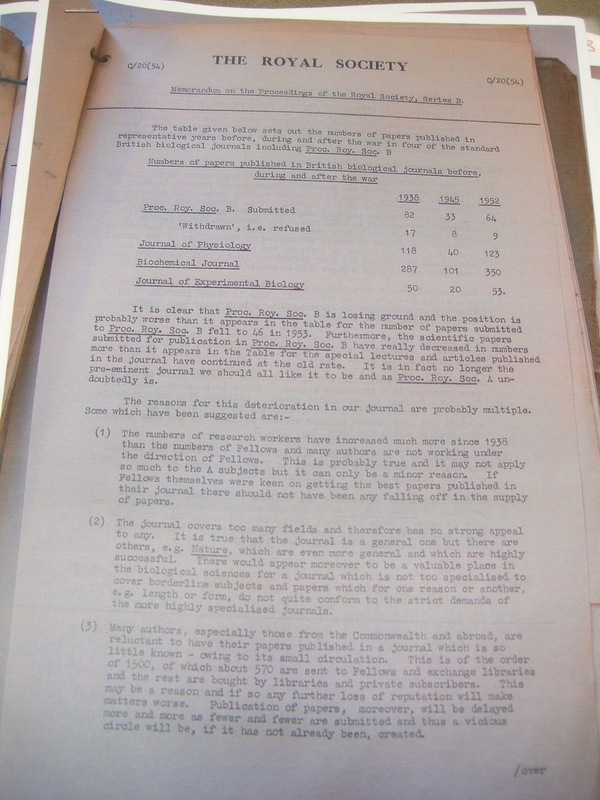 This document shows some of the issues the Society dealt with after the war, and as late as the mid-fifties. 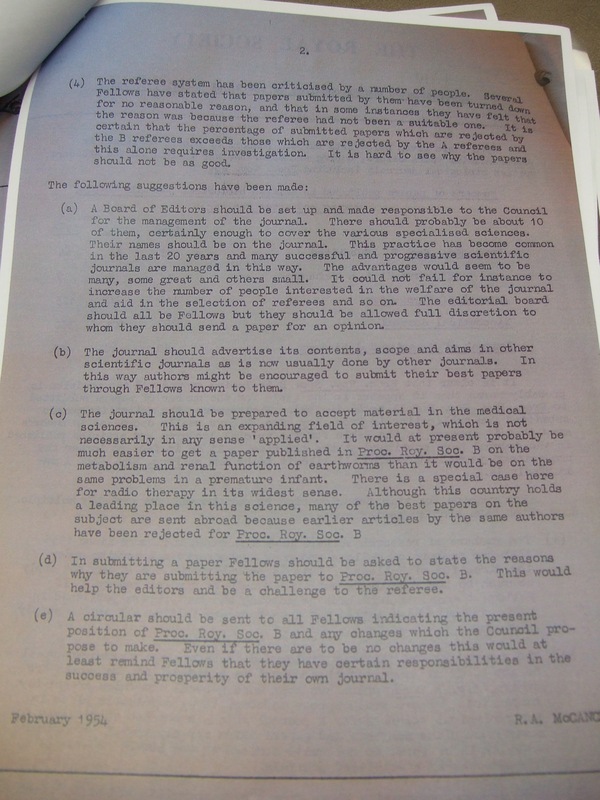 The paper shows that the Society’s biological sciences journal Proceedings B was still struggling to increase submissions, whereas other journals like Journal of Physiology had been increasing since 1945. The document spells out some of the possible reasons for these issues, and solutions to the problem. Note also that the Society was aware that their journal covered “too many fields and therefore has no strong appeal to any.” Historians of publishing may recognize this as a turn towards specialization, which would benefit commercial publishers greatly in the coming decades.